CurlyTreatsBOX gives you the opportunity to discover and try natural hair products that you have never heard of, heard of but never tried, or tried and loved. The number one question I get asked is.... what products do you use on your hair? I have done tons of product reviews in the past and I always say, what works for me, may not work for you. Natural hair is a lot of trial and error to find out what works the best for your hair. It can be expensive and lead to loads of failed products collecting dust on your shelves, so a subscription box is a great way of trying new products and saving money. 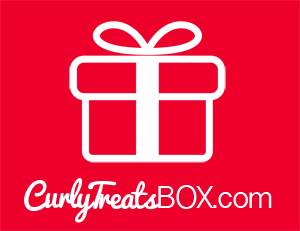 I am a CurlyTreatsBOX affliate and will be doing monthly unboxings to share the contents of each box, so you can get an insight into the products and also subscribe to get your own box. The February CurlyTreatsBox is highly limited so make sure you sign up for your box using the link below.